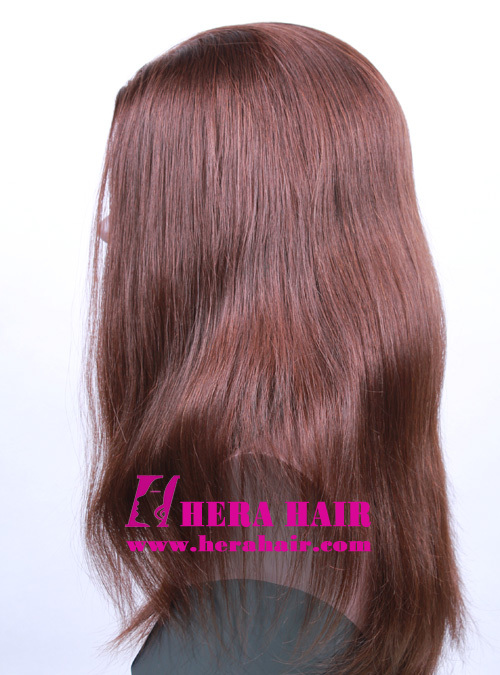 This chestnut color wig is Hera 14 inches #6 straight European hair band fall Kosher women wigs. 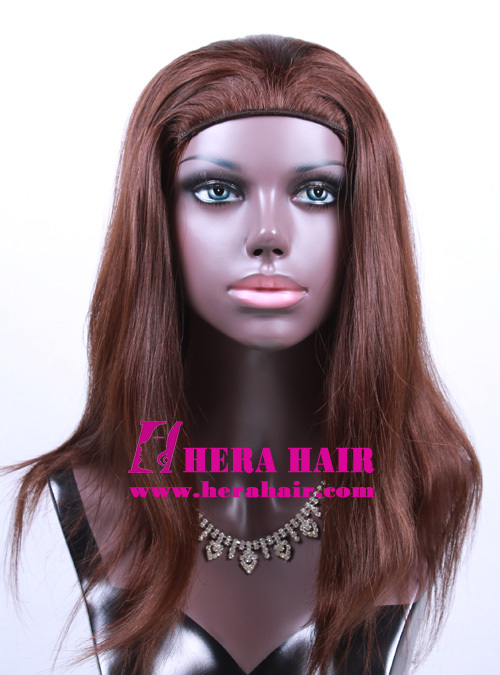 Hera's European hair band fall Kosher women wigs are the world's best band fall kosher wigs. Yes, it's right, which is the best band fall Kosher wigs for Jewish women, no matter the European hair quality but also Hera's Kosher wigs' made techniques. We have listed 4 pcs 14" #6 European hair band fall Kosher women wigs different pictures, including the band fall Kosher women wig's cap design so you can know that very well. 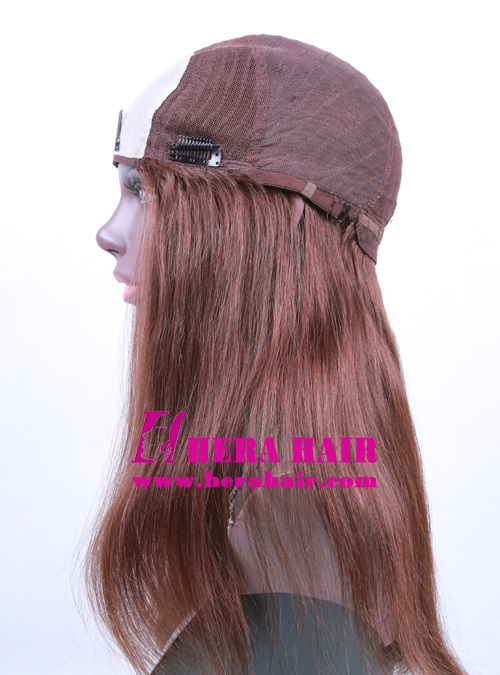 This band fall Kosher women wig's cap design is our recommend cap design, which is used Chinese silk for inside of front so the customer could feel very good when they wear this band fall Jewish wigs without their own hair. Of course, we could use other lace instead of Chinese silk then the cost could reduce little. We mainly wholesale band fall Kosher women wigs to Jewish women, which MOQ of wholesale is only 5pcs start. 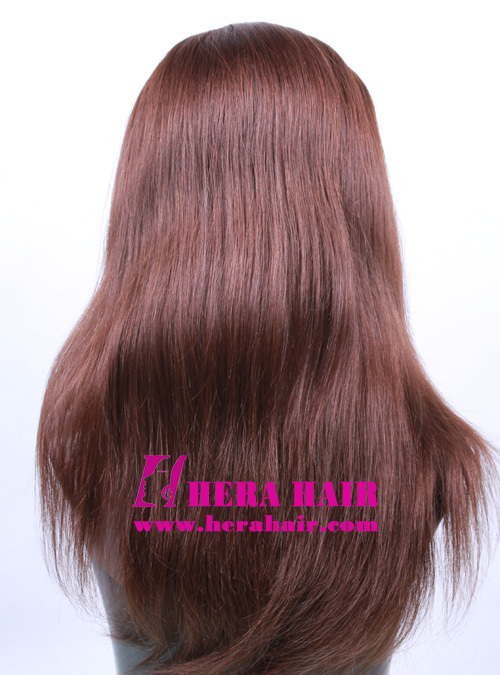 So no matter you are personal Kosher wigs user or professional band fall Kosher women wigs wholesaler, Hera welcome you contact us for band fall Kosher women wigs wholesale business. Normally speaking, we advise you buy one band fall Kosher women wig sample to check our hair's quality and our techniques. Seeing is believing, if you are interested in this band fall Kosher women wigs, please contact us with your business description then we could send our band fall Kosher women wigs' wholesale pricelist to you.